Monday will see the long-awaited opening of the Al Sweady inquiry, examining the circumstances surrounding a 2002 incident in Maysan province, Iraq, involving British security forces. Following a firefight on 14 May at a vehicle checkpoint known as Danny Boy, a number of Iraqis were taken to UK detention facility, Camp Abu Naji. There is a dispute over how many Iraqis were killed in the firefight, but the following day the British soldiers returned 20 bodies to the Iraqi authorities. There are accusations that several of the Iraqis may have died while in custody. 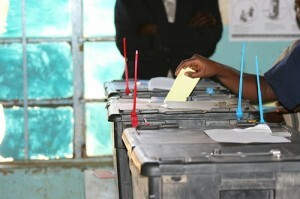 In Kenya, presidential and parliamentary elections are set to take place amid fears that the poll may result in a repetition of the widespread violence that followed the last elections in 2007, when incumbent Mwai Kibaki was accused of rigging the results to deny his rival Raila Odinga victory. This year’s election is significantly complicated by the fact that Odinga’s opponent this time around, Uhuru Kenyatta, is facing a prosecution in the International Criminal Court in connection to his role in the 2007 violence. Meanwhile, eurozone finance ministers will meet in Brussels on Monday, with a bailout package for Cyprus high on the agenda now that elections there have been completed. The politics of a financial aid package are complicated by the fact that Cyprus is home to significant amount of Russian money, which many suspect is being laundered on the island. Finally Monday, the posthumous trial of whistleblowing lawyer Sergey Magnitsky on tax evasion charges is scheduled to resume. Magnitsky died aged 37 in prison in November 2009 as he awaited trial. Critics suggest the charges were trumped up in retaliation for Magnitsky’s role in exposing an alleged $230m fraud that was linked to a Russian Interior Ministry official. On Tuesday, the once-a-decade political transition that will see Xi Jinping formally appointed China’s President will reach its final stage when a two-week session of the National People’s Congress opens in Beijing. In Kiev, the trial of former Prime Minister Yulia Tymoshenko on embezzlement charges continues. Tymoshenko, who is already serving a seven-year sentence after being convicted of abuse of power, is accused of embezzling $405m in state funds through the United Energy Systems of Ukraine (UESU) in the 1990s. 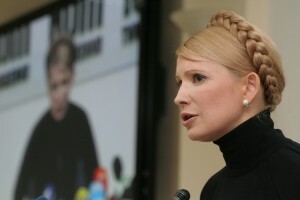 Recently, it has emerged Tymoshenko may also face murder charges (a hearing in that case, incidentally, takes place on Monday 4 March. Lastly, elections are scheduled to take place in the Federated States of Micronesia. Refreshingly, all candidates are non-partisan, since the country has no formal political parties. On Wednesday, in Brasilia four of Brazil’s five main unions are scheduled to start a march to protest sluggish growth and to call for labour market reforms. In Cairo, the once-high-profile trial of NGO workers charged with working for “illegal” civil society organisations will continue. The case disappeared from mainstream coverage once the 19 American citizens accused in the case were allowed to return to the US last March. 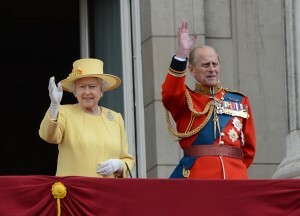 British monarch Queen Elizabeth, meanwhile, will on Wednesday begin a two-day visit to Rome, accompanied by her husband Prince Phillip. Finally, Israeli President Shimon Peres will be in Brussels on Wednesday, where he will meet with Herman Van Rompuy. On Thursday, British Foreign Secretary William Hague will host a Friends of Yemen meeting in London co-chaired by representatives from the Yemeni and Saudi governments. Other members of the grouping include Gulf Co-operation Council, G8 member states, the UN, EU, Arab League, IMF and the World Bank. In finance, both the Bank of Japan and the European Central Bank are scheduled to announce interest rate decisions. Finally, in Brussels, Irish Taoiseach Enda Kenny and European Commission President Jose Manuel Barroso are scheduled to speak at a conference on the future of Europe, titled Europe 2020. 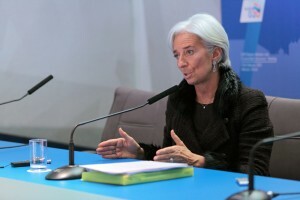 IMF Managing Director Christine Lagarde is scheduled to visit Dublin, where she will meet with authorities, women leaders, and deliver a major speech. Following his 9 January sentencing, jailed businessman Christopher Tappin is due to begin serving a 33-month sentence relating to the sale of batteries used in Iranian missiles. He entered a guilty plea on 1 November 2012 to one count of aiding and abetting the illegal export of defence articles. Tappin may be allowed to serve his sentence in the UK; however a final ruling from the US Bureau of Prisons remains pending. Lastly. the US will on Friday release its latest monthly unemployment figures, provoking the usual blame-game between Democrats and Republicans. On Saturday, nine policemen, including the former head of Port Said Security Directorate General Essam Samak, are among the remaining 54 defendants due to be sentenced over the 1 February violence at a match between Al Masry and Al Ahly football teams, which saw 74 Al Ahly supporters killed. The civilian defendants face charges of premeditated murder, while the police face charges of aiding the attackers. On 26 January, the court handed down 21 death sentences in connection to the incident, sparking widespread violence. On Sunday, a two-day referendum on the Argentinas political status is due to begin. 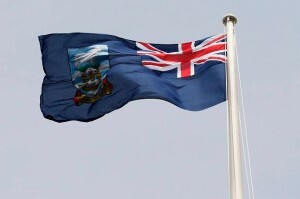 The largely symbolic exercise (islanders overwhelming want to remain a self-governing overseas territory of the United Kingdom) is unlikely to deter Argentine President Cristina Fernandez de Kirchner from demanding the islands be returned to Argentina. Finally, Sunday is the deadline for US special forces to leave Wardak province following President Hamid Karzai’s announcement on 24 February that they must leave over allegations of torture and murder. Previous such deadlines issued by Karzai have subsequently been revised.